Every traveler knows that sometimes two wheels take you further. 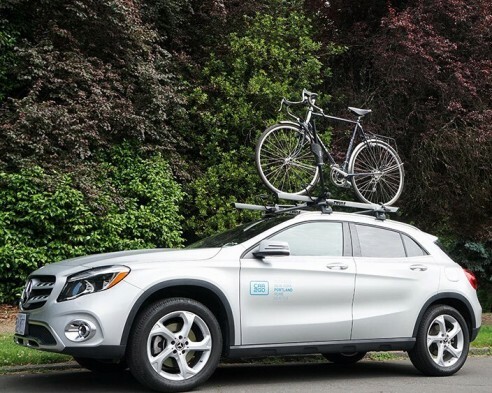 Currently, 50 Mercedes GLA vehicles in Portland are outfitted with a roof-mounted bike rack so you can take your bike wherever you want to go. Use the app filter to see only vehicles with bike racks. Each car2go bike rack can hold up to two bikes, so you don't have to venture into the outdoors alone. The bike racks support wheel sizes from 20 to 29 inches (kids bike to standard road/MTB bikes) and tire widths up to 2.6 inches (big knobby MTB size). Learn how to use our bike racks by watching our instructional video. Calling all weekend warriors and outdoor explorers – with a hatchback for added cargo space, you can haul all your outdoor gear (or bulk shopping run) and have room to spare. It easily seats 5! Grab one of the 50 Mercedes-Benz GLA models equipped with a roof-mounted bike rack and get going on your next outdoor adventure. 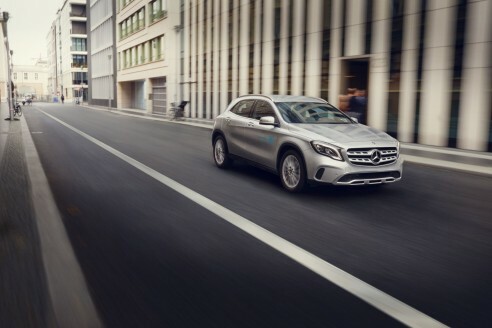 The GLA features include a rearview camera, Blind Spot Assist, heated front seats, Bluetooth, Apple CarPlay, Android Auto, a panoramic sunroof, and a bike rack. 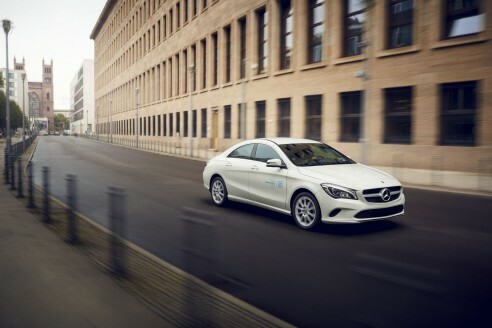 The CLA sedan has room for 4 – whether you’re riding solo or playing chauffeur for your friends, you’ll get there in style and comfort. It looks good on the outside – and the inside. Just like the GLA, the CLA includes a rearview camera, Blind Spot Assist, heated front seats, Bluetooth, Apple CarPlay, Android Auto, and a panoramic sunroof.